The new multi-star weeding brush is a convenient solution to facilitate the removal of every weed. By means of the unique Click lock the weeding brush can be fitted to the matching handle from the patented multi-star tool system within seconds. In this way it is comfortable to work while standing upright. 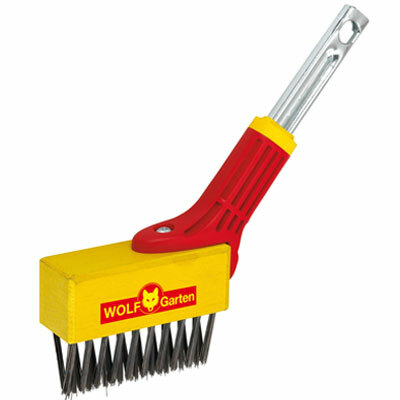 The steel bristles of the weeding brush facilitate the removal of every weed. * Stiff steel bristles removes weeds.